Our current RV is a campervan we built ourselves. We bought a 2014 Ram ProMaster 2500 cargo van brand new and converted it into a wheelchair accessible campervan. It is the high roof model, 159" wheelbase, 3.6L Pentastar gas engine, and also has dual sliding doors. 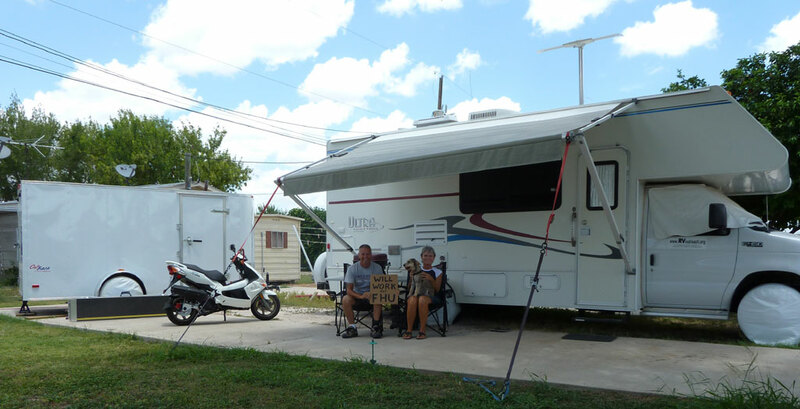 We are only part-time RVers now, spending the winter in warmer climates and traveling during the warmer months so a full blown RV wasn't necessary. 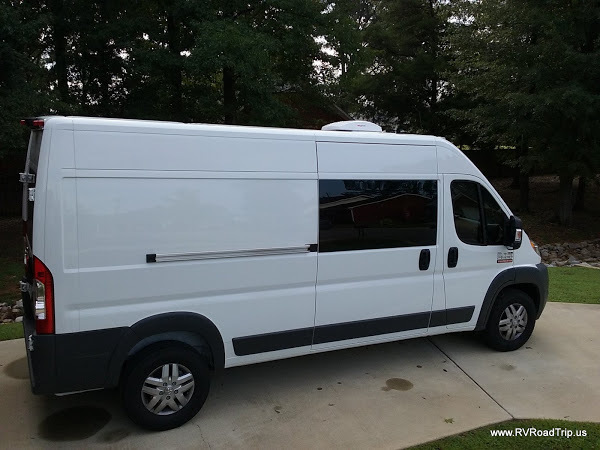 You can read about the cargo van to RV conversion process on this page. Prior to the campervan, our RV was a 2004 Gulf Stream Conquest 6236 Ultra Limited Edition 24' Class C. It sat on an E450 Super Duty chassis and it had less than 21,000 miles on it when we got it on May 10, 2011. We traded our previous travel trailer for this motorhome. 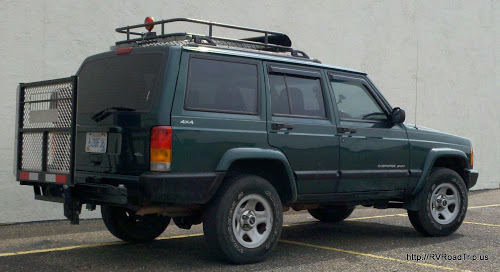 Our toad was a 1999 Jeep Cherokee 4x4. We originally bought it in September 2004, sold it to our son in January 2009 and bought it back from him in October 2011. We installed a wheelchair carrier on the back so Jerry can go to the mall with Cynthia. We sold the Jeep about the same time we sold the motorhome. 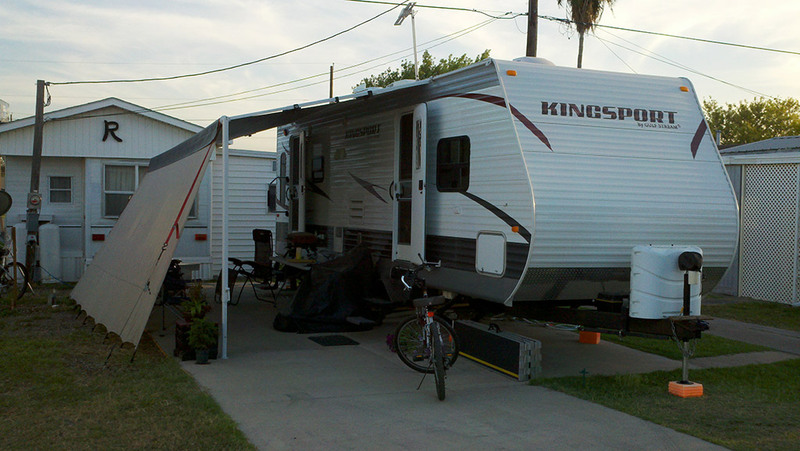 Prior to the Class C, our RV was a a 2011 Gulf Stream Kingsport 288RLS, a 29' travel trailer with a super slide. We only had it for about 6 months before trading it to an individual in exchange for the Class C shown above. It was a nice camper but it never felt "homey" and when coupled to the truck, it was just too long. 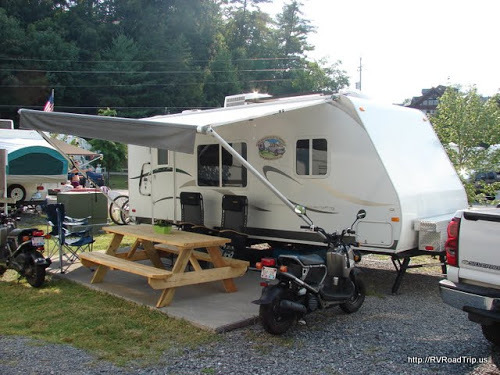 Our first ever RV was a 2008 Palomino Gazelle G210, a 19' travel trailer with no slide. This was a wonderful little trailer but a little on the small side. We sure do miss it!